You are bitten! 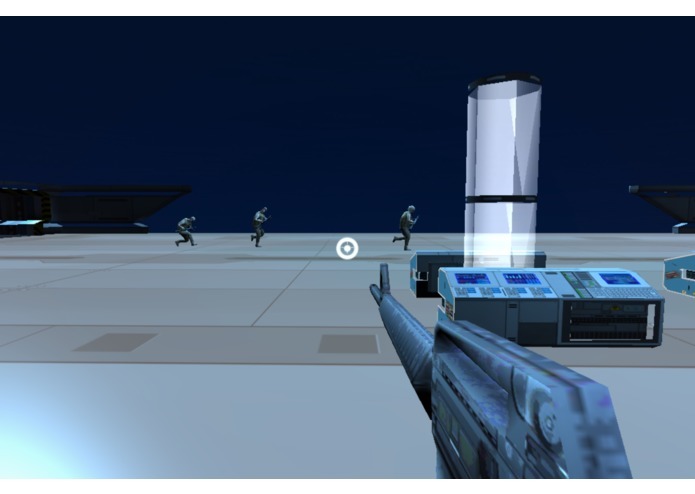 Fight with zombies and soldiers in space stations to find a cure for yourself. Change the game name from "Stranded" (sounds hopeless) to Abandoned. 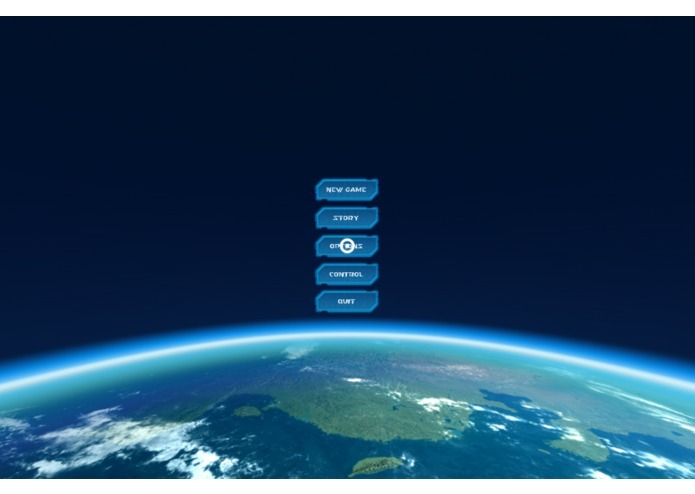 Main menu controls: You can use both Gear VR controls (back, tap) to manipulate the game menu. Or it's easier with the gamepad, I used the default select and back button, nothing's special here. 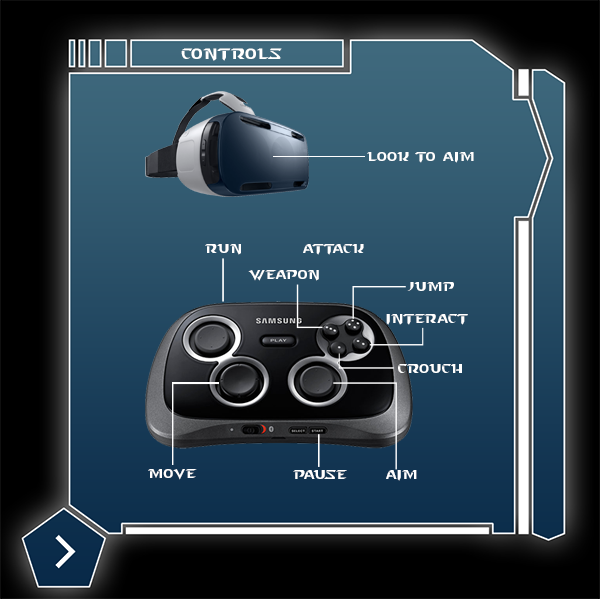 I want to tell a little bit more about the Gear VR controls. Basically, while you are looking around, I will change the direction of the character as well. This will help a lot to speedup the aiming. But after a lot of testing on myself and friends, I added a small modifications, you must "look at an angle larger then 30 degree to change the direction". But be reminded that you are aiming at the crosshair position, not at what you are seeing. And just 1 more tip for this game, you have unlimited bullets (I want to keep it easy for first levels), so you can hold the shoot button instead of clicking it. As mentioned in the game story, in this game you need to escape from a series of space stations and find cures for yourself and a strange girl. 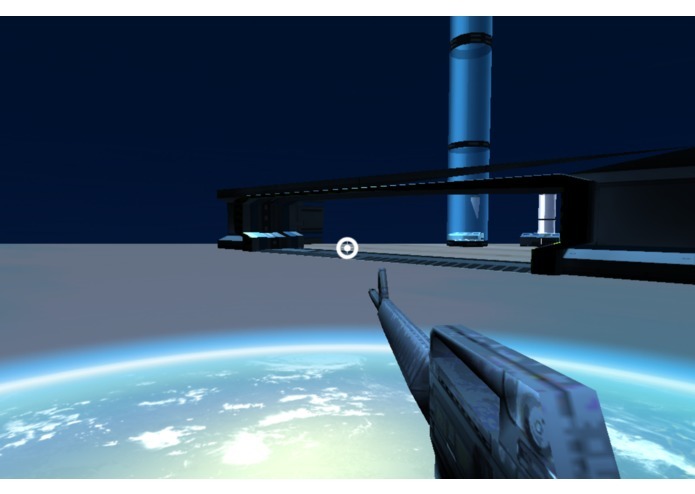 In this game, you will need to run around the stations, kill zombies, soldiers, solve hidden missions with bloody clues. 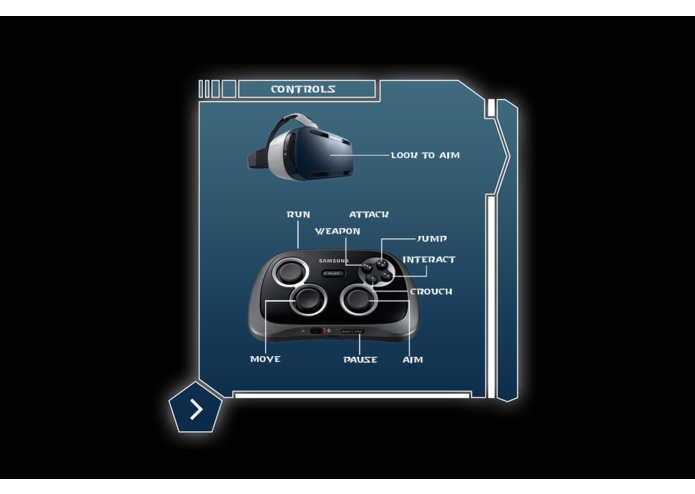 For the demo your mission is to destroy a system that is locking the door to your entrance. Bring some explosions. I've spent a lot of time to do experiences on myself and friends. 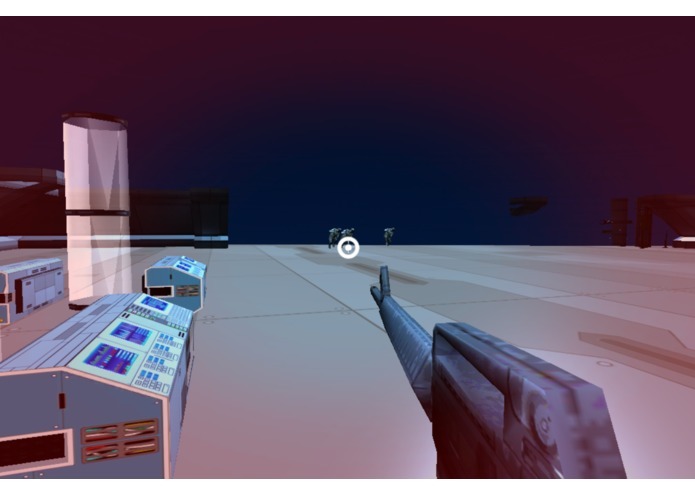 I know it's not easy to make a good FPS game for Gear VR. This is not about the techniques but about the user experience. How to not make them sick. So I built a test level and asked my friends to test and tell me how they felt. Then I change the controls mechanism, modify the parameters... After a lot of testing, I have the final control mechanism as mention in above section. I hope that you will find this game suitable to play on the VR. For this VR Jam, I've built 2 levels but because the judges will play only 5-10 mins so I'll let them play level 2 directly so they can have the whole game experience so far. This is the video of the 1st level. if you want to take a look https://www.youtube.com/watch?v=_OfFTPtmbRA. I'm going to add more levels to make a completed game and I will submit it to the store once I'm done. I also have a plan to port this game to mobile platform also, so you can play it without the Gear (this is because i have a lot of requests from my friends :D). "You woke up in a strange room and cannot remember why you are here. The last thing in your mind is the party last night with your dear Jane. It's so silence outside, you could barely hear anything. You tried to stand up, but a sharp pain restrained you. Looking down your left hand and you saw that it was bleeding. It looked like a bite, hmm, yes, it was a bite. And you also noticed that you have lost your watch, someone changed it. On your hand, it's now a silver watch with no button. It's 09:30:46 and counting down. What's wrong with me? You're asking. Nine hours and thirty minutes left? What do I have to do with this time? But you don't have time to think about it. You need to get out of this place. Where is everybody? No one. You talk to yourself "This place is so creepy". You also find out that this is not a usual room. It looks like a lab room with computers. And you now can hear something, a whimper? And there is somebody, you can see her now. She's terribly bleeding and actually you don't know what to describe her. She's not human. The girl looked back and now you're regretting that you didn't run sooner. It's too late, you cannot run. The girl jumped over you, so aggressive and you know you will die, now. Closing your eyes because you can't look at her, that thing. And... waiting for your death. Nothing happened. Opening your eyes and you found that the girl is calm now, she's looking at you, and her eyes, they are still alive. She also had the same watch, just like yours. It's 06:59:32. Now you can understand what you have to do. Nine hours and twenty three more minutes, you will become a thing you never want to be, and there is no way back. You must seek for a cure, looking at her and you know it could be two." Back to the gameplay, your character will have a deadly adventure to seek the cure. You are now half zombies, half man. On your way, you need to fight back both other real zombies and soldiers. They all want to kill you. At the end of the game (if you can reach there), you will find the cure and meet the girl again. But there is only ONE cure. Now is your decision, use the cure for yourself or give that cure to the girl. This part of the game will end differently based on your decision.